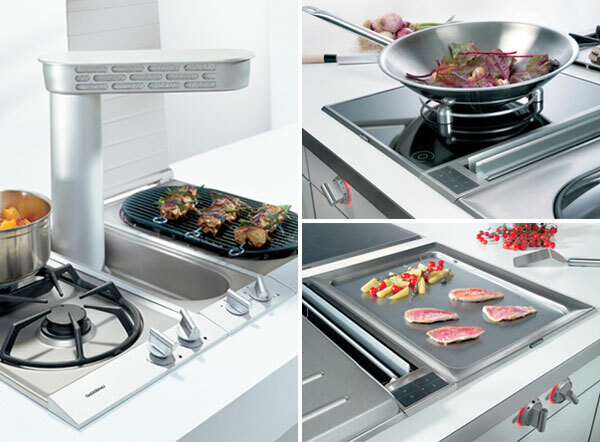 How amazing would it be to have the ability to customize your cook top to fit all of your cooking needs? Gaggenau has introduced a new product series that lets you do just that: the Vario Series allows you to incorporate an electric bbq grill, a deep fryer, an in-counter steamer, a gas cooktop, and a teppan yaki, to name just a few of the options. Not only does it allow you a range of options, but the Vario Series is easy on the eye, with sleek, minimal lines and clean, functional design. Some day in the future, when Sean and I design our first home, we will definitely customize our cook top to include the bbq grill and deep fryer. And maybe Sean could convince me to install the steamer for some vegetables and dumplings. Above: the 400 Series in-counter steamer and electric bbq grill. 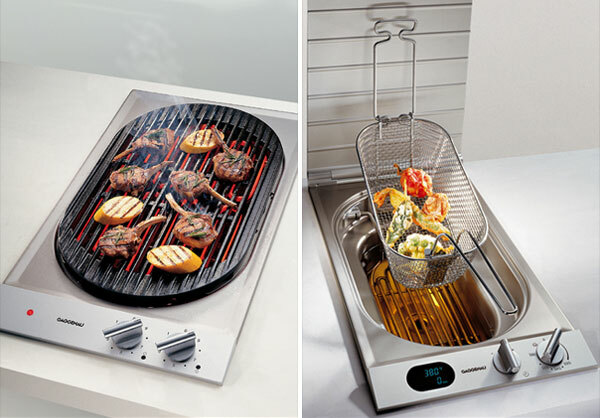 Below: the 200 Series electric bbq grill and deep fryer.